Made From Real Distressed Leather for durable wear. Inside Contains Shearling Faux- Fur for Keeping you Warm in winters. It is Awesome!! 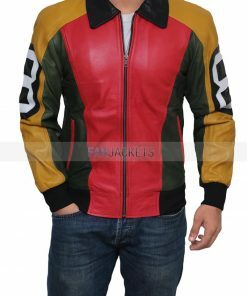 I was so excited when I got the jacket; I couldn’t wait for my son’s birthday so we could offer it to him. He will love it! I would like to thank you for your outstanding product personally. I got the jacket yesterday, and it is awesome!!!! It looks exactly like the photo, and the details are astounding. I will be wearing this as biker equip since I feel great in this. Likewise, the reason that the shipment was speedy impacted me to put stock in this store. Each minor detail is of authentic quality. 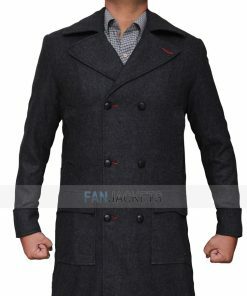 Looking for a type of leather apparel that will make you look stylish and comfortable. 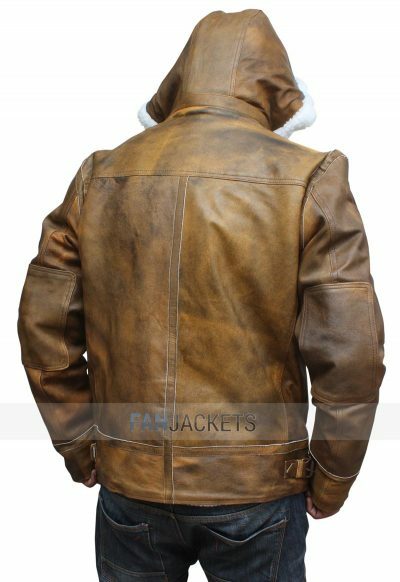 Then you should check this Distressed Brown Fur Hooded Leather Jacket. Shearling Faux used to make it smooth. perfect to protect you from the cool breeze. It’s something that will work in all styling approach. 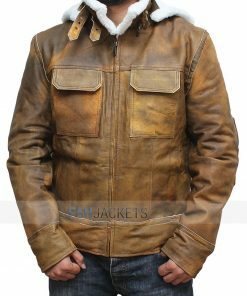 Other features on this Distressed Light Brown Leather Jacket are two flap chest pockets, two waist pockets, and two inside pockets. It’s a slim fit apparel. So, go for it now! Place your order and is all yours.